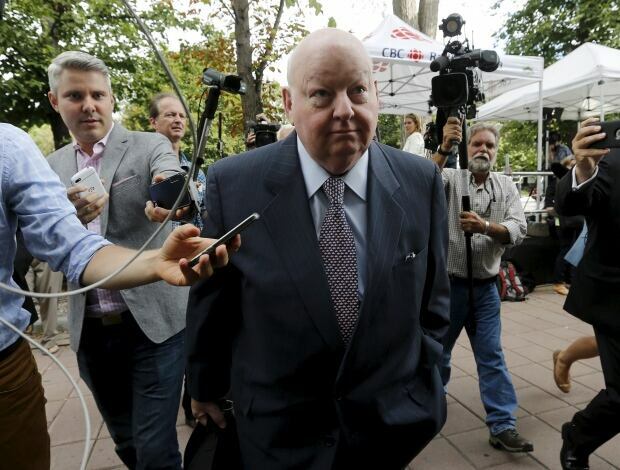 The Duffy trial had a second day of testimony from Nigel Wright. Some very interesting revelations have come forward. Emails have shown that there was a consorted effort among a number of the Prime Minister's inner circle in the PMO to not only make the Duffy expense problem go away, but to also deceive the public about who paid the expenses. It was also revealed that Duffy was forced to accept the plan that they came up with, and to lie to the public. This is very damaging stuff. I think Canadians who may have tired of this story would be wise to pay attention now. It gets to the very heart of what has been going on in the PMO, and the fact that many of the players involved in this cover up are still involved in one way or another with the Prime Minister or the Conservative Party is very disturbing. They have not learned anything. A government that came in with the promise of accountability, and to clean up the mess and scandals of the Liberals is now involved in what appears to be something very serious. This is not just about the money, this is about the deception, and the way in which this government can casually lie to the public without even considering that it might be unethical. Nigel Wright himself said that he was acting on biblical principal, comparing himself to a person giving charity, rather than hush money to cover up dubious activity. It shows a complete disconnect from reality, in which Conservatives and those in the PMO truly believe they are always acting in the public interest, even when they lie and cheat and steal. This scheme was not ethical. It was not acting in the public interest. It was a deliberate action taken to save the brand. It makes one wonder if other such schemes are lying under the woodwork. The next question is naturally, what effect will this have on the election? It is hard to say. People are on vacation right now. They are not really paying attention to political matters, but the latest polls suggest a slight drop for the Conservatives, and I think they will take another hit in the next round as this information starts to sink in, and as the other leaders pick up steam in their campaigns. I don't think this will shake the very core of the Conservative base, but maybe it might turn off some Conservative voters enough that they won't bother showing up to vote, and that is a big problem for a party that is relying on their supporters entirely and not going after new ones. But the bottom line, and what I will take out of all of this is that we need people in Ottawa who are working for Canadians interest, and not just their party. The people involved in this scheme were always about party first, and that kind of culture needs to be rooted out and exposed. Maybe electoral reform might help in some way to reflect Canadian values more accurately in parliament, but we need a shift away from the party first attitude after 10 years of an over controlling and hyper-partisan approach. We need people in Ottawa who can manage to look beyond partisanship at least some of the time in order to make good legislation, and do what is best for Canada. Enough with the US style inflexible politics.